by Otto Binder (Bantam, 1967). While this paperback original certainly deserves points for being the first Marvel Comics novel adaptation, it hardly wins universal respect. 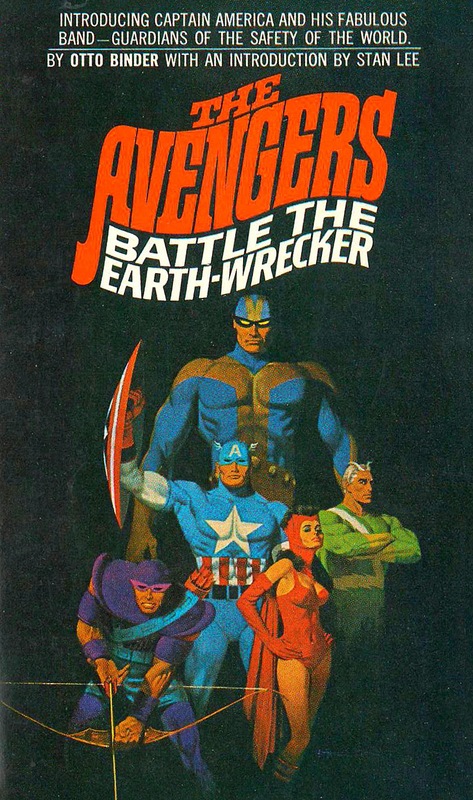 One critic grouses that “this tale would’ve been dated the day it was published.” Others have noted that “though [the characters] Quicksilver and the Scarlet Witch were pictured on the excellent cover, painted by noted paperback cover artist Robert McGinnis, they did not appear in the book.” Oops.